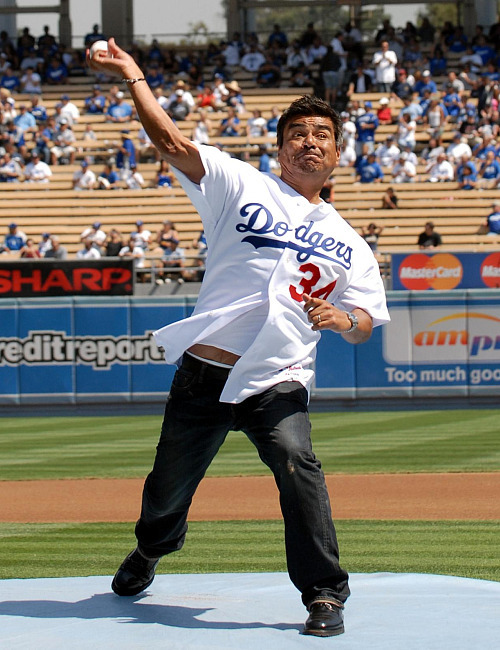 Funnyman George Lopez showed off his baseball skills by throwing the ceremonial first pitch at Dodger Stadium Wednesday night. The Dodgers beat the Pittsburgh Pirates 3-1. Lopez returns to the small screen this fall on "Lopez Tonight," premiering Monday, November 9 on TBS.